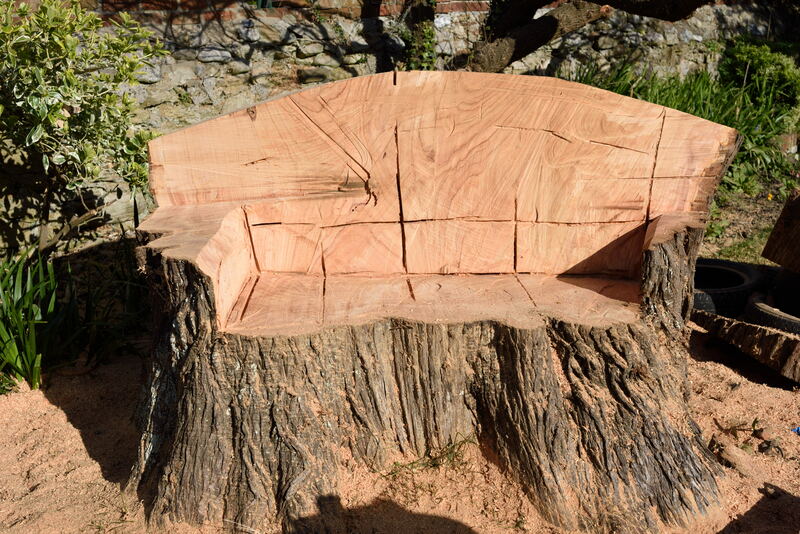 I was recently asked by some clients to convert their large tree stump into a bench seat. Having never tried my hand at chainsaw carving, I said I’ve give it my best shot! 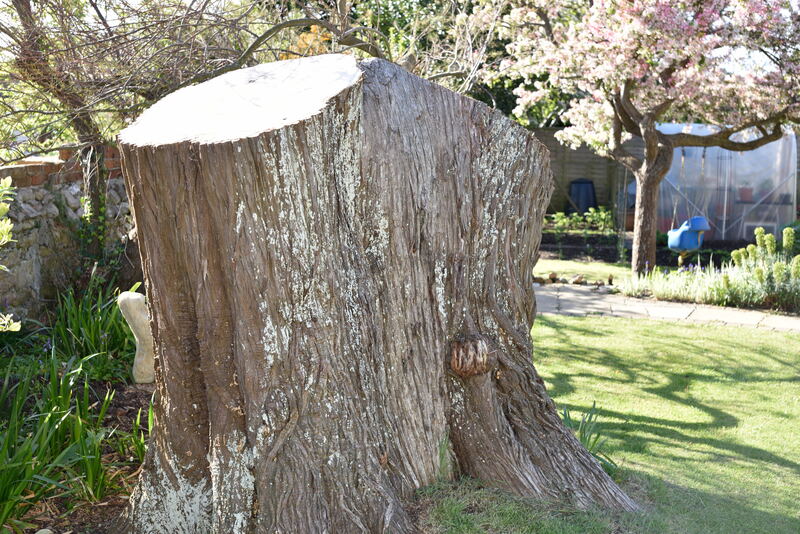 The brief was relatively straightforward, but the work was made more demanding by the sheer size of the tree stump and the number of old nails that had been hammered into the tree over its 150 year lifespan. Chainsaws and old nails are not very compatible – I probably spent as much time re-sharpening chains as I did actually sawing! After much sweat, sawdust and aching limbs, I completed my first tree stump bench carving. Personally, I think it would have benefited from some further refinement, but the clients assured me that they liked it just as it was – honest, rugged, rough-hewn. In total, the work created over a tonne of waste wood (which I will convert to firewood logs) and a dumpy-bag full of sawdust. 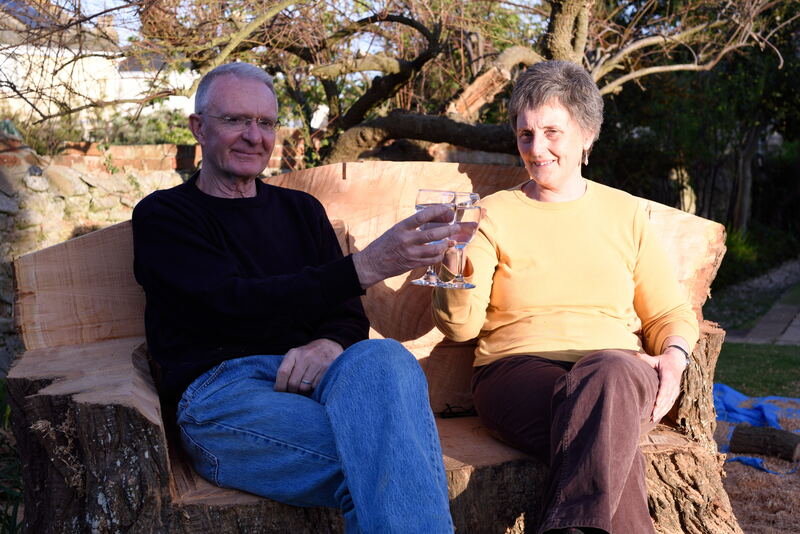 Whilst I’m sure the finished seat will provide many hours of relaxation for the owners, it will also be a valuable home for many other species in the garden as it slowly degrades over time. Standing deadwood is a valuable ecological resource for a wide range of species, and it is all too often ‘cleaned away’ from garden settings.